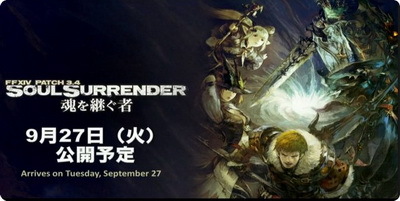 Final Fantasy XIV developer Square Enix has officially announced the release of Patch 3.4 this coming Sep. 27. Otherwise known as Soul Surrender, it will bring in huge wave of new content additions to the popular MMO RPG. As is the custom, a new trailer shows off the content players can expect to explore. This includes the story content for the main scenario questline and the various side stories as well as the last portion of the Alexander story. Game Producer Naoki Yoshida has recently confirmed the all new Patch 3.4 coming for Final Fantasy XIV coming late September. Yoshida also offered a preview as to what fans can expect from the next massive update for the title. Meanwhile, Yoshida has already made a run-down of the new features coming with Soul Surrender update. The new patch will add new side quests such as Scholasticate and Hildibrand. But players will see the Anima weapon questline to continue in Patch 3.45. Patch 3.4 will also bring the addition of the final raid called Alexander: the Creator. It will simultaneously arrive with a Savage mode of the raid too. Moreover, a new trial will also come to the Warring Triad series with the patch. This trial will feature the Goddess Sophia. Gamers will explore new dungeons, Xelphatol including a difficult mode of the Great Gubal Library. 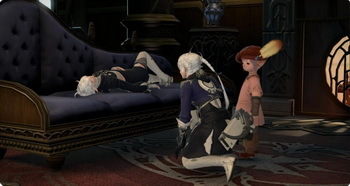 Among the main addition of Patch 3.4 is the apartments. Each room will charge players around 500,000 Gil. But it will also have a shared space in the apartment building, such as Chocobo stables. However, contrary to homes, apartments will have no gardening. There’s also a lot of other content on display, as well: the new adventuring squadrons, new apartments, another battle against the Warring Triad, and new equipment to properly accessorize your characters. There are also even deeper floors to be explored in the Palace of the Dead for those who dare to trek deep within.